Are you sick of being in chronic pain? Chronic pain can be hard to shift. But now, we have the tools to change how the brain processes pain. Based on exciting new scientific research on the brain, this book contains simple, but effective methods to reduce chronic pain. Using the science of neuroplasticity (the brain’s ability to change itself), everyday activities and habits are turned into pain competitors. Paralympian and occupational therapist, Dr Lisa Chaffey’s life changed when she slid from acute to chronic pain. She spent the next two years looking at the research for a way out of pain. 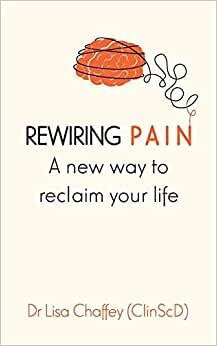 This book describes her journey into and out of pain, and provides you with a step-by-step guide to rewire how your brain manages pain. Lisa reclaimed her life using these strategies, and she is confident you will too. Start reading Rewiring pain: A new way to reclaim your life on your Kindle in under a minute. Lisa has a Doctorate in Clinical Science from La Trobe University, Melbourne. She is an occupational therapist, academic and researcher. Before developing chronic pain, Lisa was a member of the Australian women's wheelchair basketball team. She has a silver medal from the Athens Paralympics (2004), and two bronze medals from the 1994 and 2002 World championships.